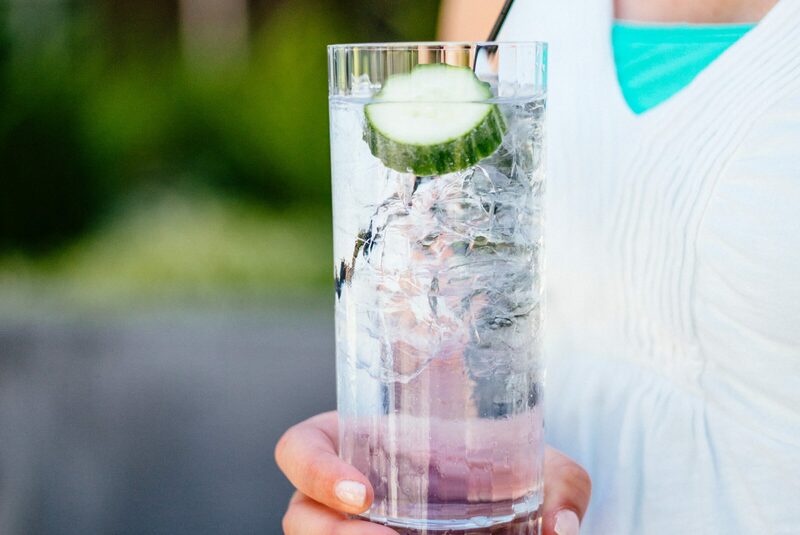 This refreshing, gin-based cocktail is one of our favorites. 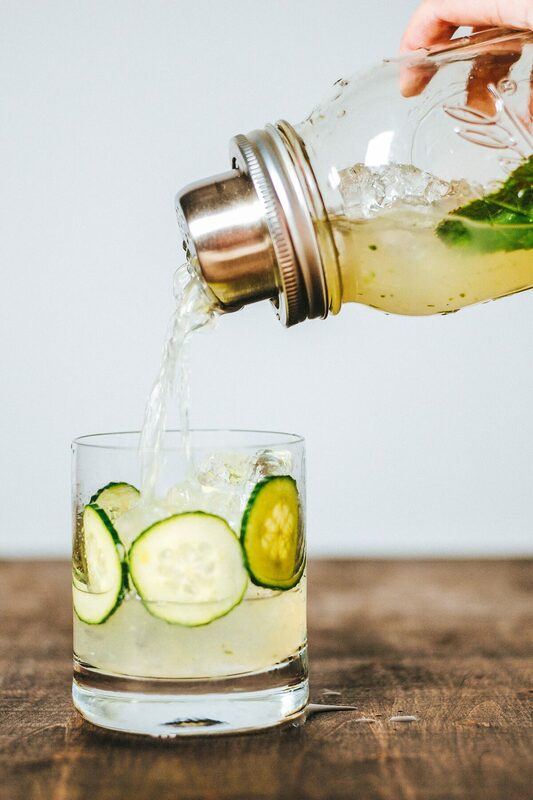 We love drinks with fresh limes, and the addition of elderflower and basil adds some sweetness and an herbal note. This cocktail would be great with lunch outside in the garden, or as a pre-dinner drink. 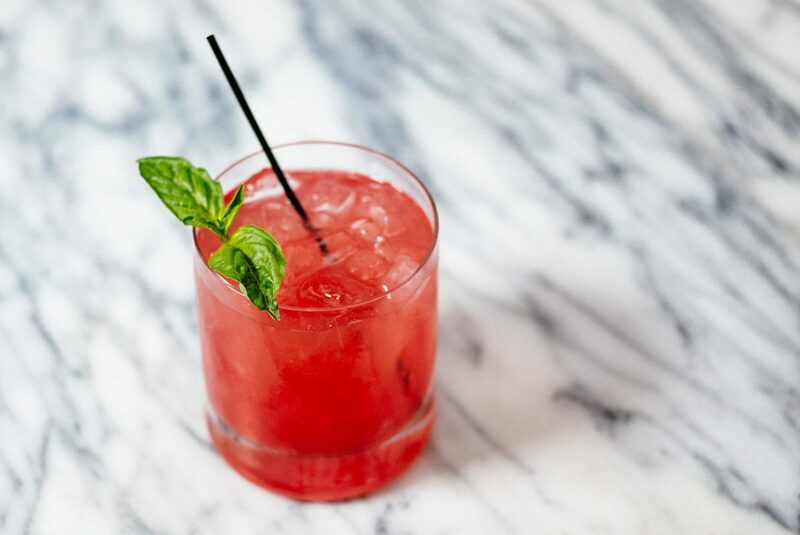 A few basics we’ve learned from our bartender friends: Make your own simple syrup. It only takes a few minutes, and gives you the ability to make a lot of interesting infusions, like the addition of basil here. Put your cocktail glasses in the freezer or fill them with ice while you make the cocktail so they are well-chilled prior to serving. Finally, be sure to shake this one. We would not shake a gin martini, but it’s appropriate to shake cocktails that contain citrus. To make basil syrup, heat 1 cup of cane sugar and 1 cup of water in a small saucepan and bring to a boil. Remove from the heat and add a few large sprigs of basil to the syrup and let cool. We like to keep the syrup we don’t use right away in squeeze bottles like these for later use. For the cocktail, combine gin, lime juice, basil syrup, and St. Germain in a cocktail shaker filled with ice. Shake until ice cold and strain into a chilled cocktail glass. Garnish with a basil sprig.